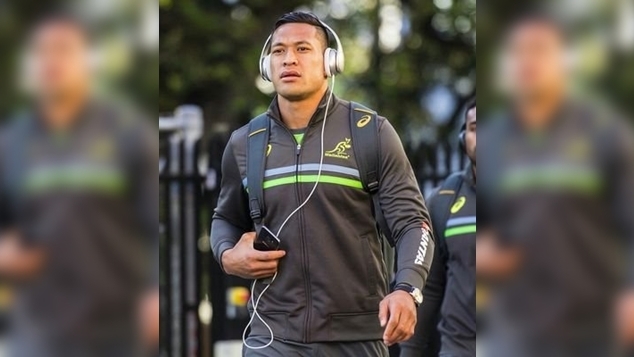 Australia’s LGBTI sporting inclusion body, and LGBTI rugby teams around the country have welcomed the news that Israel Folau’s contact will be terminated by Rugby Australia in the wake of homophobic comments. Folau reignited criticism this week, taking to social media to declare that homosexuals will go to hell if they don’t ‘repent’ and embrace Christianity, and speaking out against Tasmania’s recently passed gender reforms. Yesterday, Rugby Australia Chief Executive Raelene Castle and NSW Rugby Union CEO Andrew Hore released a statement revealing that Folau would be sacked for his comments. Pride In Sport, the publisher of the annual benchmarking index of LGBTI inclusivity in sport, have commended Rugby Australia and NSW Rugby Union for taking action. “This unprecedented course of action sends a strong message of what will and will not be tolerated in rugby – and they’ve made it clear that homophobia and transphobia has no place in the sport, whether on or off the field,” Purchas said. “Pride in Sport is supporting sporting organisations and clubs across the country in helping make Australian sport more inclusive – including rugby,” Newell said. “Sport isn’t about who or what you are – it’s about camaraderie, team work and fair play. Australia’s LGBTI+ rugby clubs have also welcomed the news in a joint statement from the Sydney Convicts, Brisbane Hustlers, Melbourne Chargers and the Perth Rams. “We welcome the decision as we take this opportunity to highlight the vulnerability of the LGBTQIA+ community in that our community lives with disproportionately poorer mental health outcomes which have been directly linked to live experiences of stigma, prejudice, discrimination and abuse. We also note the particular vulnerabilities of the LGBTIQA+ Pasifika community,” the statement reads.